Why clean and refurbish a blocked DPF rather than replacing it? Prestige brand cars and commercial vehicle diesel particulate filters are expensive, and in most cases we find the structure of the filter material is in fact undamaged - merely blocked with ash and other particulate matter which accumulates over time, reducing the efficiency of the DPF. Regular scheduled cleaning of DPFs maintains fuel efficiency and helps ensure that private and commercial diesel vehicles don't fail roadside emmissions tests which can result in fines and the vehicle being taken out of service unexpectedly to correct the problem. Removal of the DPF and engine remapping is not a viable solution in most cases, as although it's perfectly legal for a company to remove the DPF, the vehicle will be an automatic MOT failure if the original specification DPF is not present and functioning within its performance parameters. It's important to choose the right company to carry out the refurbishment, particularly in respect of any warranty offered. All cleaned DPFs which leave our facility carry a no-quibble 12 month guarantee. DPF Deep Clean are a specialist business set up to clean DPFs for vehicles, plant & equipment, power systems and emission components. 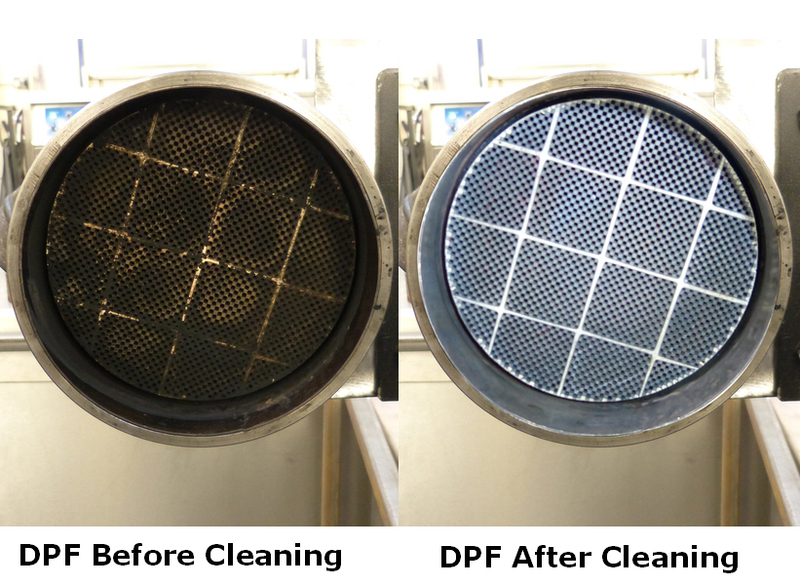 We launched our DPF Deep Clean Service in 2014, adopting the most recent technology driven solution. Our proprietary unique process produces outstanding cleaning results returning the DPF to “As New” condition.